Clearing + cleansing ourselves of the junk we’ve been pack-ratting around is spiritually imperative. The subconscious mind is like a garden. Left untended, pesky weeds (buried thoughts + impressions) multiply and threaten to take over. Eventually, we find ourselves so full of haywire messaging, we forget to don underwear and start putting our spectacles in the fridge. Before you know it, life has gone commando! 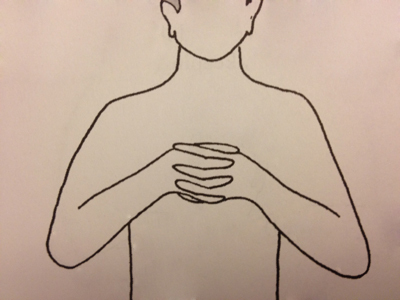 Interlace your fingers with the thumbs resting on top. 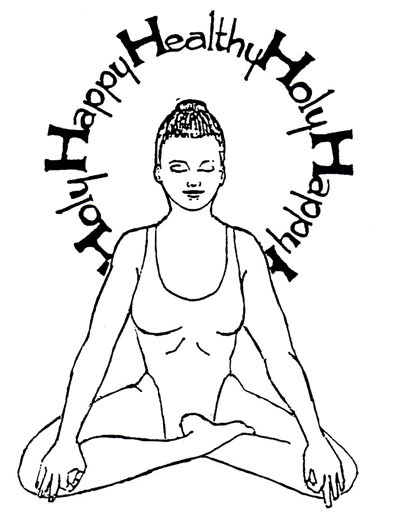 When complete, inhale and exhale rapidly (2 seconds each for a total of six rounds), then relax. 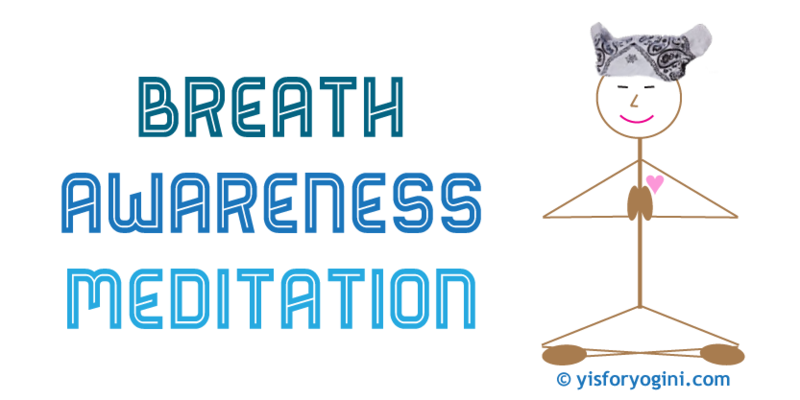 If you cannot retain your breath peacefully + without strain for this amount of time, begin where you can. Work your way up. Respect your limits and don’t push. Your capacity will grow in time. 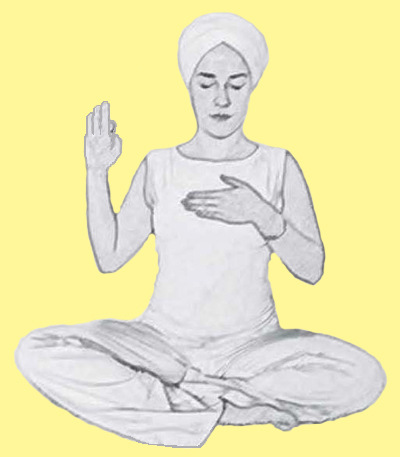 Meditation for Clearing the Subconscious as written above © Y is for Yogini, adapted from the original meditation created by Yogi Bhajan. Sending you love + an uncluttered subconscious! As always, if you have questions or thoughts to share, I’m here for you. Oh how I’ve missed you – and how I LOVE this post! We did a beautiful pranayama kriya in class yesterday & I thought of you. Thank you, Lo – Sweet strength beneath the fun. 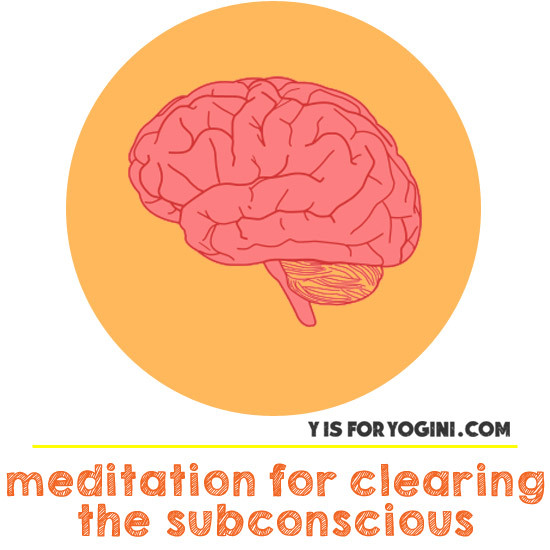 GREAT and so important- clearing the subconscious helps us to release the negative effects of the dialogue BENEATH the dialogue…love this, LO! Mere – that was the surge of lovely energy i felt! you are an amazing friend, my dear. love u.
Rebeccca – we stress so much about the surface when it’s infinitesimal. good works done beneath that surface work wonders. This is me sending you sweet Om Shanti, never stop writing!